The occasion was a unique congregation of the urban guerrilla fighters and the young generation. 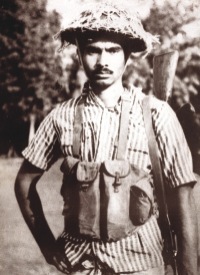 Organised by Spectra Group, the event featured some 150 members of the different guerrilla platoons that had operated in Dhaka during the nine-month-long war and taken in many remarkable missions in Dhaka city and its adjacent areas during the Liberation War. The war heroes shared some of their unforgettable memories with about 300 students from six schools of the capital.